In Pennsylvania's beautiful Blue Mountains, *Eagle Rock Resort* is an upscale escape perfect for golfers. Given four stars by Golf Digest, Eagle Rock boasts award-winning courses. Other on-site amenities include a spa and fitness center, skiing, tubing, ice skating, swimming pools, an equestrian center and more! The premises consists of 5,200+ acres and a multitude of entertainment options- guests of all ages and dispositions will find something to suit their interests. 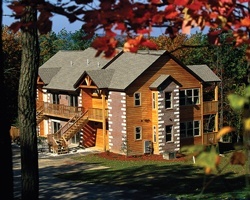 For deluxe accommodations and beautiful scenery, escape to Eagle Rock Resort! 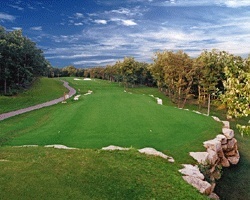 Visit www.eaglerockresort.com for more information. Motivated Seller! 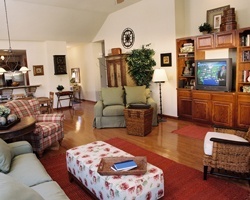 Located in the upscale pine valley town house community. Relax at this peaceful resort not far from a wide variety of activities!!!! Enjoy being close to golf, the beach and more! Floating week! Very negotiable, bring offers. Motivated Seller. Come enjoy the many year round outdoor activities! Floating week! Buyer may receive a title fee credit, inquire for details! Perfect for Golf lovers and outdoor enthusiasts! Annual floating week! Ideal resort for skiers and golf enthusiasts! Buyer May Receive A Title Fee Credit, Inquire For Details! Go golfing & skiing in the Blue Mountains! 2 floating weeks in Premier season! Make your offer today! Great option for golf, skiing and much more! Buyer May Receive A Title Fee Credit, Inquire For Details! Skier's paradise! Resort has great ski slopes and on-site lifts! Enjoy any week you need! Buyer May Receive A Title Fee Credit, Inquire For Details! Plenty of activities available onsite and nearby! Buyer May Receive A Title Fee Credit, Inquire For Details! 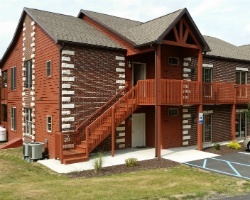 Less than a mile from skiing, golf, beach & within walking distance to pool! Buyer May Receive A Title Fee Credit, Inquire For Details! Great resort close to skiing, golf & the beach! Annual floating week! Buyer may receive a title fee credit, inquire for details! Great for golf, skiing and much more! Floating week! Buyer may receive a title fee credit, inquire for details! Perfect resort close to skiing, golf and the beach! Floating week! Buyer may receive a title fee credit, inquire for details!